Published in: De Toni, G.B. (1900). Sylloge algarum omnium hucusque cognitarum. Vol. IV. Florideae. Sectio II. pp. [i-iv], 387-774 + 775-776 [Index]. Patavii [Padova]: Sumptibus auctoris. The type species (lectotype) of the genus Trematocarpus is Trematocarpus dichotomus Kützing. 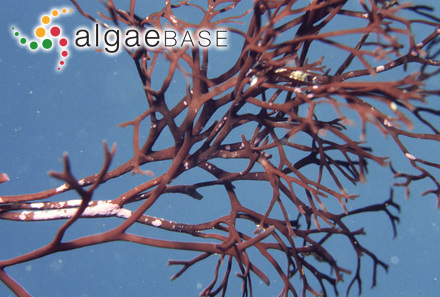 Type locality: Cape of Good Hope, South Africa (Silva, Basson & Moe 1996: 322). Barrientos, E. & Alveal, K. (2005). 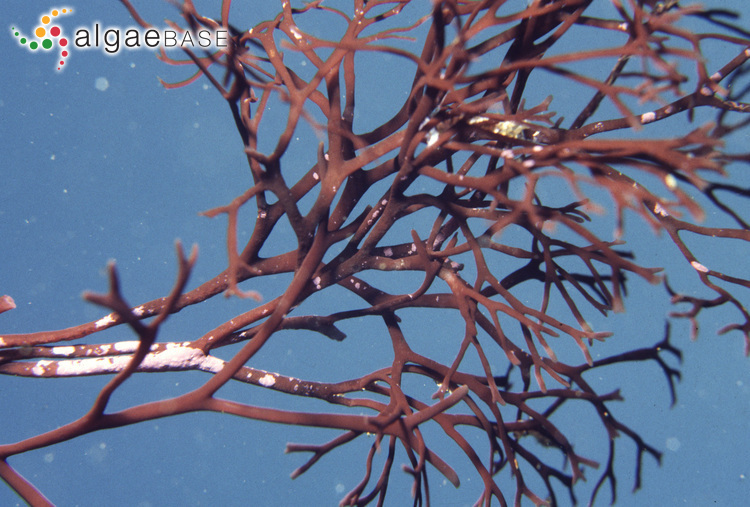 Evidencias morfológicas y reproductivas para una circunscripción nueva del género Trematocarpus (Rhodophyta, Sarcodiaceae). Morphological and reproductive evidence for a new circumscription of the genus Trematocarpus (Rhodophyta, Sarcodiaceae). Ciencias Marinas 31(2): 3990412. Withall, R.D. & Saunders, G.W. (2007 '2006'). Combining small and large subunit ribosomal DNA genes to resolve relationships among orders of the Rhodymeniophycidae (Rhodophyta): recognition of the Acrosymphytales ord. nov. and Sebdeniales ord. nov. European Journal of Phycology 41: 379-394. Accesses: This record has been accessed by users 1071 times since it was created.